One record temperature high was broken Thursday in Bulgaria, after a brief cold and rainy spell on Wednesday. Lingering Indian summer brought a high of 22 degrees Celsius to the town of Sandanski in the south-west, bettering a temperature record set in 1996. This was the highest temperature measured in Bulgaria Thursday, with the same reading recorded in the city of Plovdiv. 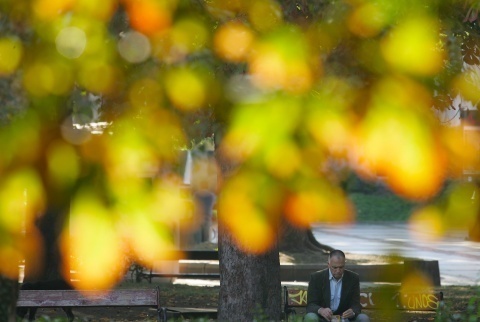 Montana, Pazardzhik and Vidin were also warm, with 21 C, while capital Sofia was cooler, with the high not going over 16 C.
The sunny and warm weather is expected to last through the end of the week, said Bulgaria's National Institute of Meteorology and Hydrology. Monday and Tuesday saw the breaking of five other temperature records each. » Up to BGN 18 Per Pool, What Is the Situation at the Sea? » Summer Getaway! Where It Is Worth To Spend the Weekends ?